2012 is going to be a busy year for the DarkWave Games team. Master of Alchemy is doing its journey from iOS to PC and Mac and we can share a small screenshot of the main menu. 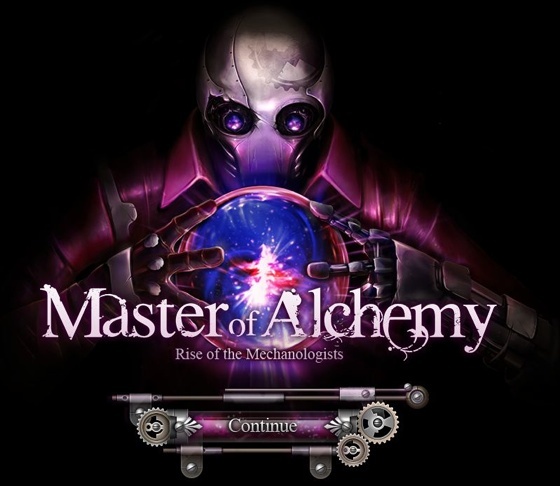 Master of Alchemy 2 is in the works and the first prototype shows many new innovative possibilities. Dream Chamber is shaping up nicely and we have an important internal milestone that will demonstrate its potential, with environments, characters and style that are going to define the game in the months to come. We have also a secret project that we’re going to announce in the future. So 2012 is a key year for us; stay tuned for exciting new games. Act of Fury has been reviewed on the popular The Indie Game Magazine obtaining the great score of 85%. Thanks to everyone that have downloaded and enjoyed the game so far!